2017 looks like being a very busy year. The History Of Zombies is now at the proof stage, whilst Mmm...No2...Cookbook, the imaginatively titled sequel to Mmm...No1...Cookbook, is nearing completion. 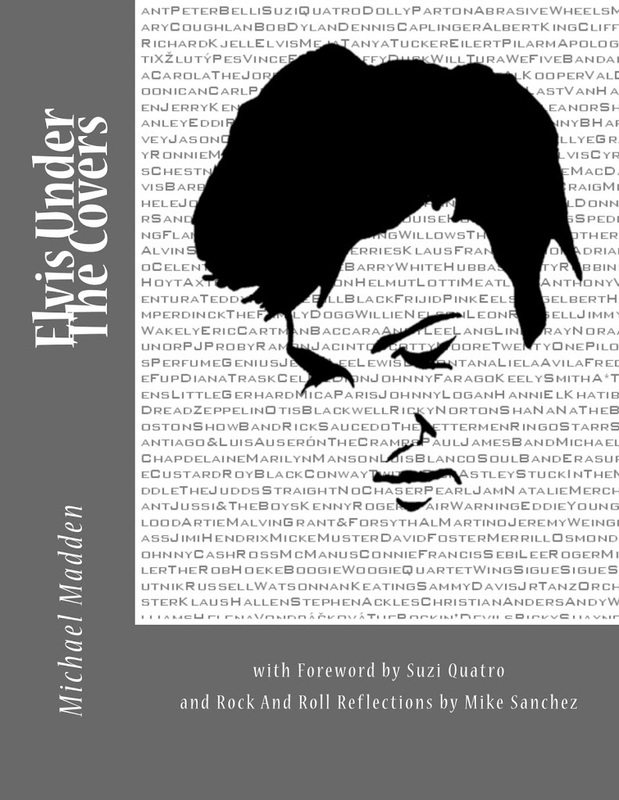 However, the real project for this year is Elvis Under The Covers, a book researched almost entirely on the internet exploring the legacy of Elvis Presley through the artists that have covered his songs. It was finally released in August 2017, to mark the 40th anniversary of the death of The King! Exciting news - the foreword has been written by Suzi Quatro and there are great essays from Kenny Vance and Mike Sanchez. Other contributors include Wanda Jackson, Tanya Tucker, Chris Spedding, Eddi Reader, Stella Parton, Mary Coughlan and many more. I did a ton of radio interviews - very entertaining, and have lined up some book signings. Its available on Amazon in print and on Kindle. You can also follow progress on the book page listed on the index of this page.